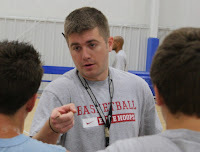 Elite Hoops Basketball: Basketball Tryout Tips Cont'd. 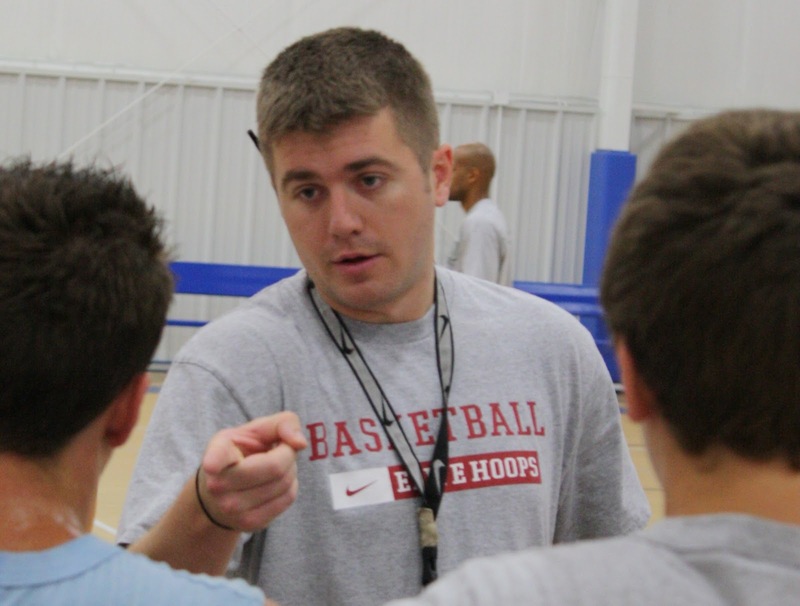 We are less than two weeks away from basketball conditioning starting at the high school level in the Atlanta area. As this time draws near I thought I would elaborate on the previous tips Coach Langley gave you guys. As a high school coach myself I can tell you that I do look to make sure my potential players can do the things Coach Langley mentioned. The first question posed to our blog readers was if you are in good physical condition. One of the biggest mistakes that players can make is to show up at the conditioning sessions a week before tryouts, or even worse at tryouts, out of shape. As Coach mentioned, to play basketball you have to be in basketball shape. Working out for one week isn't going to get you to where you need to, or want to be, to perform at your best. As an athlete who played both football and basketball at the high school level I can tell you that being in good football shape, or other sport shape, does not mean that you are in good basketball shape. Along with line drills mentioned by Coach Langley here are some other drills to get you in good "basketball shape." As you start these drills just go for 30 seconds. Once your endurance builds increase the time to continue building your stamina. These are just a few examples of the numerous ladder drills you can do. Spring full speed on the straight-aways and then jog the corners of a quarter mile track. When first starting out do this for shorter distances, maybe only a few laps around the track, and as you build up your stamina increase the total distance you cover. For those athletes who have a football stadium with bleachers you can sprint up the stairs and jog down. Start at one end of the stadium and end at the other side. Start on the baseline and sprint to the foul line. Once you reach the foul line sprint back to the baseline and then to the mid-court line. Mid-court line back to the baseline and finally spring from the baseline to the opposite baseline and then back again. Time yourself doing this the first time to see your "target time." In the future if you do not reach you "target time" institute some sort of penalty. Whether that is basketball push ups or more sprints thats up to you. Since this may be the last post I am able to publish before your tryouts I wanted to give you a suggestion to think about going into your tryouts. During your tryouts show the coaches what you do best. If you are a good ball handler but only a decent shooter show your coaches how you can run an offense. How you are comfortable bringing the ball up the floor and distributing the ball to your team mates. Don't take a bunch of shots that you aren't comfortable with taking simply for the sake of shooting. Tryouts give you a very small window to show coaches what kind of players you are. If you want to improve your shot work on that in your driveway, during practice, or in the off season, but not during the day or so long try out period. You want to maximize your strengths in the eyes of your coaches and minimize any weaknesses that you may have in your game.